Known for our reliability, integrity and efficiency, Akber Ali provides a full spectrum of financial services like audit, tax, secretarial services, liquidation and financial advice. We're a well-established firm providing a comprehensive range of no-frills accounting services at affordable rates for small to medium enterprises (SMEs). Opening : Mon - Fri: 9am - 6pm. 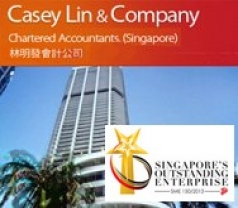 "Corporate Accounting Services" page, call 6594 3556 or click here.